The first chatbot was developed in 1966 at MIT — they called it ELIZA. ELIZA, the mother of all chatbots, answered some very simple decision tree questions. This first chatbot iteration has since evolved and developed, naturally. Through the 1980s and 1990s, the technology was deployed in automated telephone systems that used very simple decision trees, right through to MSN and AOL. As we move further along the timeline, chatbot technology has exploded across social and business channels. Why are we so interested in them now? Why has so much attention been placed on the technology? “It comes down to three main reasons,” says Howard Pull, strategic development director at MullenLowe Profero. At the moment, there’s a misconception around the abilities of bots. There’s a very high consumer expectation that a bot should be able to answer open-ended questions. However, this isn’t always the case and can be frustrating — as I’m sure many of you have experienced. This isn’t an exercise in replacing humans; it’s about finding new places and new ways to interact with consumers. And, the better quality the bot, the more likely a brand is to attract and retain their audience. It also not about creating something that is massively conversational. “People really want something that provides quick answers, connects them to a service, allows them to buy something, in the simplest way possible,” explains Pull. Chatbots, as we’ve explored this month, are going to play a massive role in improving the customer experience. Looking at the customer service experience, there’s a huge amount of frustration with most brands when you try to contact them — waiting times, being put on hold etcetera. For a service brand, investment in chatbot technology is absolutely critical. 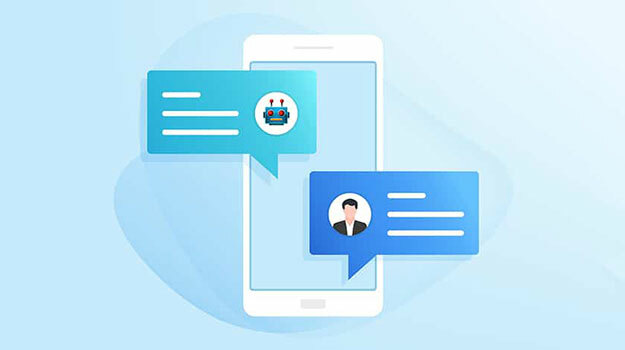 Moving beyond this into a brand that has purpose and is looking to change things in its sector, chatbots are also going to be critical for increasing engagement and retention levels. In the past 12-18 months there has been an explosion of chatbots in the enterprise, internally. In this scenario, it’s about treating an employees similar to a customer. At the moment, this type of service is emerging in brands that have big manufacturing or big workforces. But, it will begin filtering out into the mainstream, broader business world. As the technology that sits behind chatbots advances, the applications and potential of the bots will change in a number of ways. They’re are going to get a lot smarter so you’ll see brands invest a lot in new areas beyond service. “If we look at where the main use cases are, customer service has been a traditional one, just because the money is there. So if you’re a brand like Amtrak, you can save $1m a year on customer service expenses, just by automating that,” explains Pull. The focus of chatbots has been on customer service, purely because there is a much clearer financial return. Chatbots will begin to solve new problems — and this surrounds the idea of choice. Bots like Cleo, for example, are helping people manage their money and providing personal financial advice. The bot lives in Facebook messenger, but is moving to its own app soon. It offers pre-emptive nudges and gives straight forward answers to budget based questions. In the future, the software bots will also be able to learn. And, as a result, move into a much broader range of activities. The technology will have the ability to recognise voice and within that, tone. Through that, it can recognise if a customer is happy or unhappy, and react accordingly. This will be a game changer from the customer-facing side. Chatbots and AI are going to integrate across channels.